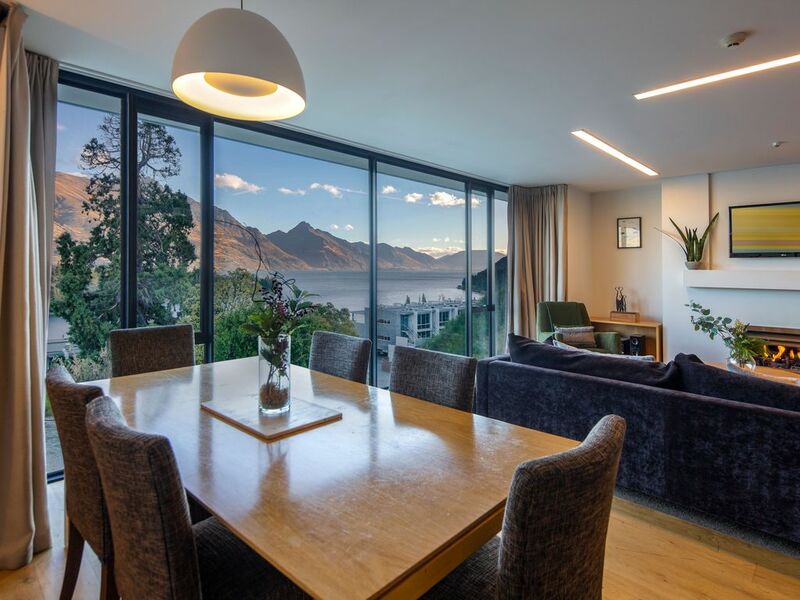 Panorama Terrace Apartment offers self-contained Queenstown accommodation with spectacular views and South Island inspired furnishings. Authentically detailed newly constructed three bedroom, two bathroom apartment comes with two private internal parking so that skis and snowboards can stay on the car roof and internal stair access leads to your front door and a living room with an inviting view and a luxuriously comfortable lounge setting. All guests under the age of 21 must be accompanied by a parent or guardian. The property has the right to refuse any booking, when the legal guardian over 21 years cannot provide current photo ID or proof of guardianship.